Catherine Karr is a pediatric environmental medicine specialist and environmental epidemiologist. She has a primary appointment in the Department of Pediatrics, Joint in Environmental & Occupational Health Sciences, and Adjunct in Epidemiology. Her research areas include environmental contaminants and pediatric respiratory health including asthma, health of farmworker children, and global children's environmental health. Much of her research utilizes community engaged research approaches. She shares leadership of a large pregnancy cohort as part of the NIH Environmental Influences on Child Health Outcomes (ECHO) program. 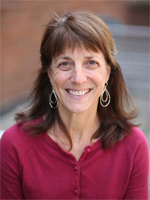 She is affiliated with the Pacific Northwest Center for Agricultural Safety and Health and Interdisciplinary Center for Exposures, Disease, Genetics and the Environment (EDGE). She has a general pediatric practice at the UW Pediatric Clinic at Roosevelt and also provides specialty pediatric environmental medicine consultation at this site and the Harborview Medical Center. As Director of the NW Pediatric Environmental Health Specialty Unit (PEHSU), she sets the direction for outreach and education as well as responding to queries from health care providers, government officials and families regarding health risks associated with environmental exposures. This collaboration with Blacksmith Institute and partner organizations in Vietnam is assessing lead poisoning among children in a lead battery recycling village and effectiveness of a clean up and education campaign. This collaboration with global health researchers is examining cookstove air pollution exposures and health impacts in a vulnerable population. Researchers explore a pesticide link to asthma in farmworkers' children. Does Yakima Valley agriculture trigger asthma? Dairy farms battle environmentalists over manure. Catherine Karr: improving paediatric respiratory health.